31st Match of ICC T20 World Cup 2014 (Bangladesh vs Australia): 31st match of International Twenty20 World Cup Cricket 2014 is held between Bangladesh and Australia (BAN vs AUS) on 1st April 2014. This is a Group-2 match to qualify for semi finals. Australia won the match by 7 wickets with 15 balls remaining. Australia (AUS) got 2 points and Bangladesh (BAN) got zero points for the match. Australia vs Bangladesh (AUS vs BAN): Bangladesh won the toss and choose to bat first and set a score of 153 runs 5 wickets in 20 overs at 7.65 runs per over. Australia successfully chase the target and make 158 runs 3 wickets in 17.3 overs. Thus Australia won the match by 7 wickets with 15 balls remaining. 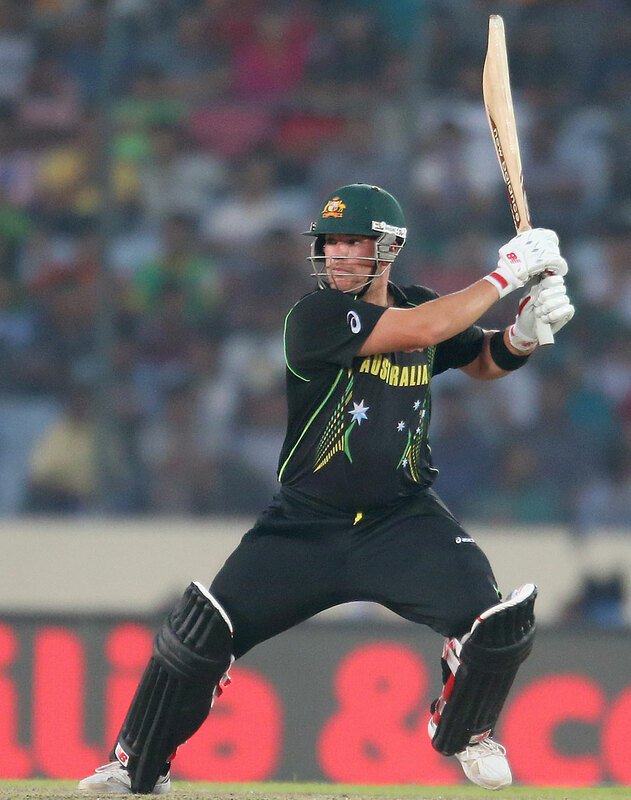 Aaron Finch (Australia) is declared as player of the match. He scored 71 runs in just 45 deliveries at 157.77 strike rate with the help of 7 fours and 4 sixes. Result: Australia Won The Match By 7 Wickets With 15 Balls Remaining.